If you're looking for a reliable, tried and tested plumbing, heating, and air conditioning company in Montclair, NJ, then you've come to the right place. Rite Rate offers affordable plumbing, heating, and air conditioning repairs, replacements, and installations. From installation of new heating and air conditioning systems to the urgent repair of malfunctioning plumbing, we cover it all. We understand the discomfort of having a heating, air conditioning or plumbing issue, which is why our professional team is available 24-hours a day, 7 days a week! Rite Rate can offer a free estimate on any of our plumbing and HVAC services. Call us today and we can help you with a new central AC installation, replace an old sink, or heating repair in Montclair, NJ! Our specialty in the heating services arena includes state-of-the-art central heating and cooling systems to ensure that the temperature in your home or business is always well regulated. We specialize in heating repair in Montclair, NJ, and our service is pocket-friendly. For that constant flow of hot water, we offer different variations of hot water heaters including the ultra-modern, energy-saving tankless water heaters. We also offer to install new heating systems such as boilers, furnaces, and hot water heaters. At Rite Rate, we can provide heating maintenance which will make your heating more energy efficient. Don’t hesitate to call us and let us be your trusted heating company in Montclair, NJ! 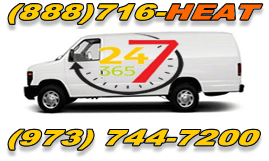 Our air conditioning company is available 24/7 for any air conditioning repair you may need. We service all makes and models including central air conditioning systems to more advanced packaged air conditioning and heat pumps. We do understand the frustration of having an air conditioning system that isn't running like clockwork and as such, we offer routine repair and maintenance services. If you need a new AC we also offer affordable air conditioning installations! For your plumbing needs, we've got you covered. If you're in need of an entirely new plumbing system, our team is on hand to undertake this installation using the best-in-the-market products. We are also well versed with clogged drains, leaking pipes, and blocked sinks and are therefore available at the drop of a hat to handle any repairs that you may need. We also offer sewer and drain cleaning services to aid in unclogging your plumbing. 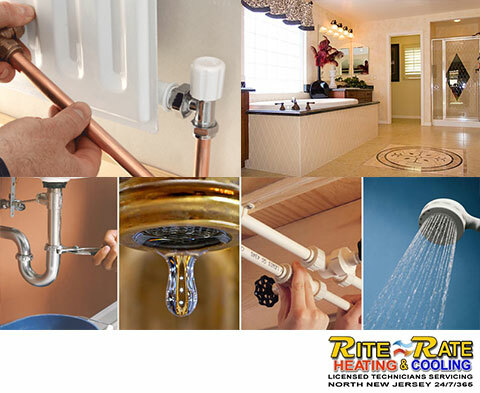 Rite Rate can offer installations and replacements of toilets, faucets, showers, sinks, bathtubs, and drains. Call us today for a free quote on any of our plumbing services. Why choose Rite Rate Heating and Cooling? Our commitment is to offer the very best in workmanship by ensuring that we use only the best products and that our most qualified technicians are on site. Thus for each of these services, you can be guaranteed that you will get only the very best. Call Rite Rate today if you want a reliable and affordable plumbing, air conditioning, and heating company in Montclair, NJ!